In Belgium or abroad, continuous oil production requires facilities that are as reliable as possible. 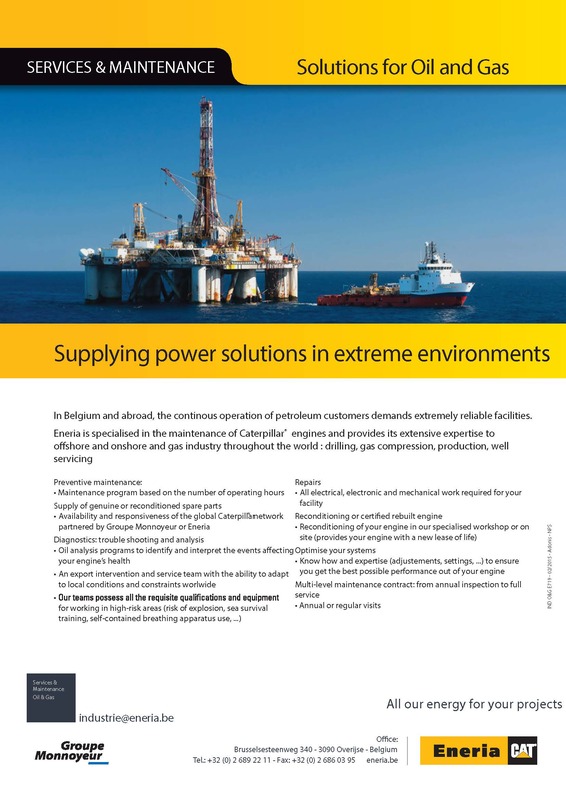 Major companies trust Eneria and Caterpillar to be available to respond to their needs for power generation, fire pump engines, compressors, drilling rigs, etc. Eneria, a specialist in Caterpillar engine maintenance and custom packages, provides its know-how to onshore and offshore oil industry players anywhere in the world that Caterpillar engines require maintenance. Preventive maintenance: Scheduling of service based on production hours and application. Repairs: All mechanical, electrical and electronic work on your facility.